In fact, in the last few years Cisco was scrambling to re-engineer its routers to deal with what they call the “video onslaught”. By 2017 at least 78% of all internet traffic was video. More than half of all web traffic after 5PM is ALREADY video traffic — YouTube, Netflix, and other companies serving as prime video platforms. Video is where the web is going. The move toward video has reached critical mass, a tipping point where the momentum will swing and things will all start to speed up. It’s important that you reset the way you look at YouTube channels versus YouTube pages as you begin to think about YouTube strategically. You need to think of YouTube as a kind of second website. Your channel is the homepage that anchors your YouTube website. Your videos are the webpages. Every video you have on your channel strengthens the website, because every video points back to your channel page. The more authoritative your channel/homepage becomes, the easier it becomes for your site to rank. Here’s a key thing to remember, the rules of good web design apply in YouTube the same way they apply elsewhere. To build authority, you need to keep your videos relevant to the theme of your channel. Whether your niche is model trains or growing azaleas, you should create a specific channel for each major topic. In other words: There’s no benefit to throwing a ton of unrelated videos on one channel. That would simply dilute your channel’s authority. This is usually the first big challenge that comes up when a first-timer wants to launch a YouTube Channel. Most people are a bit camera-shy and don’t feel comfortable having their face plastered all over YouTube. Well, here’s the good news – you don’t have to become a YouTube celebrity. In fact, it might actually be better if you don’t appear in your YouTube videos. But before you even begin the creation process, you have a very important decision to make: What purpose should your video serve? To build your website’s readership – Your video is a great opportunity to encourage viewers to check out your “real” website. This move can often lead to an opt-in or even a sale down the road. To capture a lead – You can also ask for an opt-in directly in the video. Simply draw attention to a link listed below your video, and explain what visitors will get once they’ve opted in. In addition, it’s really important that you track all of the leads you get from YouTube – because they’re educated about your product. And an informed lead is worth roughly 10 times the value of an uneducated lead. To build your website’s brand – While most brands do this almost exclusive, it’s really hard to tell if you’re accomplishing anything, because it’s not measurable in any way. To make a direct sale – There’s absolutely no reason you shouldn’t present a CALL-TO-ACTION in your video and provide a link that goes directly to an order form. We’re actually shocked to see how few people actually do this! To sell an affiliate product – Here are the three best affiliate marketing strategies used on YouTube. 1. Open box buy – In these videos, affiliates will simply open a product in a YouTube video, showing viewers exactly what’s inside the packaging. Then, they’ll provide their affiliate link to that product on Amazon or elsewhere. 2. Reviews – YouTube reviews are another great way to relieve buying anxiety and provide an affiliate link. 3. Training videos – Lastly, many affiliates make money by simply training viewers how to use a complicated product, and then sending those educated leads to their affiliate link. Timing is everything, and sequencing is the key to making sure your timing is perfect. While we’re on the subject of timing, the ideal length of your YouTube video is right around 3 minutes. If yours is an in-depth training video, you may have to go considerably longer. Still, we recommend that you keep it under 10 minutes if at all possible. Also, don’t forget to include a call-to-action every 3 minutes! Intro and branding – In the first step of this sequence, you’ll want to inform viewers about who you are and where else they can connect with your brand – e.g. Facebook or Twitter. Tell them what’s in it for them – Immediately after your brief intro, you need to explain 2 things: WHY they should watch AND how long the video is going to run (most people don’t like open-ended commitments). Give them the value – The third step is where you actually deliver whatever information you promised in your title. YouTube videos are great places to explain concepts. So if your video is titled, “What Is Facebook Timeline?” this is the part where you’d explain all the key ins and outs of Facebook’s latest overhaul. Advise them – Offer some advice based on the information you just gave the viewer. It may be a recommendation, encouragement, or even a warning; you just need to impart some form of helpful advice. Call to Action (CTA) – You didn’t produce this video just because you had some extra time to kill, did you? Of course not. That’s why you need to memorize this mantra: READ, LEAD, or BUY. ALL of your videos should have a CTA that asks viewers to become a reader, subscribe to your list, or buy something. It’s amazing to see how many YouTube marketers miss out on this step completely! Drag at the end – Once you’ve delivered the CTA, leave a little dead time for emphasis, maybe a minute or two. It may just be silence with an arrow pointing down to the link you’re promoting. You don’t want the video to simply end, because Google will immediate suggest other videos inside the player – and your link will disappear. And finally, this is one very important YouTube concept you need to know: YouTube is no longer just a video search site – it has aspirations to become a top-tier social networking site as well. That means, the more friends, likes, viewers, and engagement your videos get, the better they will rank. 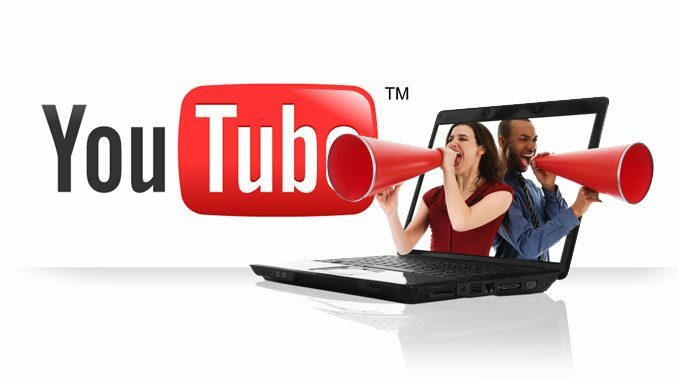 If you’re looking to maximize your YouTube channel’s social engagement, internet video marketers have given positive feedback about Tube Toolbox. This service is notable for being highly effective and for playing by the rules of YouTube’s terms of service. Why Have Your Own YouTube Channel? Now, the question is, where and when did this video marketing revolution began? You guessed it right; the biggest influential factor that launched this form of marketing was YouTube. Of course, there were other websites that offer video upload and streaming features but they weren’t as strong as YouTube. As mentioned earlier, videos attract people and people means potential client, potential client means opportunities for conversion and conversion means more profit. That’s how simple it is. But how important is it to have your own YouTube channel? Here are some tidbits you might want to know. What makes a website stand out? It’s the content and videos. Especially coming from YouTube, it actually speaks more than a million words and that’s what you want for a solid content. Adding a YouTube channel to your website to fill your quality videos in will make people go back as often as they can to get information. Logically speaking, as more people go back to your website for the videos or even to your YouTube channel, traffic will also increase. People might look for the videos on YouTube at first but as they find your videos useful, they will eventually follow the link to your website and that can drive more traffic. The secret is patience. YouTube isn’t just a video sharing website, it’s already a form of media and it has already changed the lives of the people who used this as leverage for success. With a little hard work and dedication – you can reach it too! YouTube is one of the largest, most visited websites in the world. Fortunately, and it’s also one of the easiest places to get massive amounts of traffic with minimal effort. By utilizing these best practices, you can now create engaging videos, dominate SEO, and send your videos surging up the search rankings on both YouTube and Google.